*Authorized Armstrong Dealer* Carpet, Rugs, Wood, Vinyl, Tile, Laminate David's Abbey Carpet & Floors has been serving East Tennessee for since 1973 with the highest-quality floor covering and a commitment to customer service. We know that selecting the right flooring for your home can be overwhelming. We make choosing the right items for your home...simple! Our professionals will be pleased to come to your home and measure for a FREE estimate and consultation for all your flooring needs including Carpet, Hardwood, Exotic Woods, Tile, Stone, Ceramic, Porcelain, Granite, Slate, Laminate, Vinyl, Resilient and Area Rug. We also design showers, back splashes and complete bathrooms. We feature and install the brand names you know and trust, including Alexander Smith, American Showcase, Legendary Beauty, Softique®, Infinity Nylon Carpet Fiber®, Premier Stainmaster®, Mohawk, Shaw, Armstrong, Congoleum, Legacy, Bruce, Teragren, Natural Cork, Mullican, Columbia and many more. 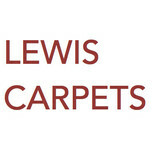 You can trust David's Abbey Carpet & Floors to help you find the perfect floor covering for your needs. From our exceptional service, to the area's best selection in a variety of floor covering solutions, to helpful credit plans, we're here to ensure that you have a great experience. For all your paint and flooring needs! BERETTA JOHN TILE COMPANY INC.
Trust your next tile project to the professionals at John Beretta Tile Co., Inc. Our family has delivered unparalleled service and the finest in tile materials to the greater Knoxville area since 1910. Enjoy over two centuries of combined knowledge and experience to make your project seamless and affordable. 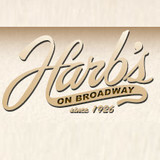 Harb’s on Broadway has been providing Knoxville with trusted value & service and an exceptional selection of top brand name carpeting and rugs in Knoxville since 1926. This second and third generation family owned company’s products are available in a variety of price ranges, colors and styles from hand knotted, Persian, Indian, tufted, needle points, braided rugs and many more! Our friendly designers we have on staff are here to help you make the perfect choice. All rugs and patterns can be “checked out” to try under no obligation before purchase, so you can be comfortable with your choice. Our exclusive rug wash is the only one in Knoxville. It not only makes them beautiful and healthy clean, but also helps prolong the life of your rug. We also provide repairs and binding, which is done in house for a reasonable fee and with prompt service. Satisfaction Guaranteed! Harb’s is Knoxville’s only Persian and Persian dealer. We pride ourselves in providing excellent service and product installation in a turn-key flooring solution. Stock is maintained on site in Carpet, Hardwood – Solid & Engineered, Ceramic Tile, V.C.Tile, Sheet Vinyl, Laminate and Installation Supplies. You can purchase Cash and Carry if you have your own product installer or let us install it for you. In addition to serving residential customers, our sales staff also services the professional home builder, commercial contractor, remodeling contractors, realtors, interior design firms and property management markets. *Authorized Mohawk Dealer* We know there are thousands of flooring options and it can seem overwhelming. We’ll make it easy to find the perfect floor for you, at the right price. We have one of the biggest selections of flooring in Knoxville, and with our Price Match Guarantee, you know you’ll get the best deal. We want you to feel like you’re part of the family, which is why we back up all of our work like we would for our family…..forever! Every one of our installs comes with our LIFETIME Workmanship Warranty. Come in and meet our family, Aaron, Jared, Tom, and Almarie Johnson (over 100 years of combined experience), and our expert staff, including Jessica Shooster, who has a degree in interior design and Adam Houk. See why Johnson & Sons Flooring is the fastest growing flooring retailer in the Knoxville area, and the winner of the 2012 Retailer of the Year award. (Southeast region). For over 40 years our family has provided outstanding flooring products and great service to our customers and is excited to expand our business nationally. We are proud to carry hardwood flooring made only in the USA. Thank you for choosing Frazier's for your flooring needs. Please call us or contact us today for a free in-home estimate, on carpet, hardwood, ceramic tile or area rugs. New floors can completely transform a room and we have many of the best products available! Whether for your home or business, we have a professional staff dedicated to helping you find the floor solutions that will work for you. Again, please call us for a free in-home estimate! Enjoy your shopping experience! After you have finished exploring our website, I hope that you will pay us a visit. Browse our expansive showroom and sit down with one of experts who will be sure to help you find the perfect floors for your home! Manufacturers: Armstrong, Karastan Premium, Masland Premium, Shaw, Mohawk, Stainmaster, Mirage Premium, Bruce, Carolina Mountain, Lauzon Premium, L.M., Mannington, Palmetto Road, Real Wood Premium, Somerset, COREtec, Armstrong Alterna, Emser Tile & Stone, Dal, Marazzi, Happy Floors, Florida Tile, American Olean, MSI, IVC, Earthscapes, Tarkett Frazier’s only provides full job estimates after an in-home consultation. In-home estimates and in-home shopping are FREE and involve no commitment. Material costs (in square feet): Carpet: starting @ $0.79sf Luxury Vinyl Tile & Luxury Vinyl Plank: starting @ $0.99sf Sheet Vinyl: starting @ $0.99sf Laminate: starting @ $0.99sf Ceramic: starting @ $1.09sf Hardwood: starting @ $2.99sf Labor costs: Please call or request an in-home estimate for labor rates: labor is too scope-dependant to quote on-line. Typical costs are estimates and staring prices are subject to change. Actual costs vary greatly depending on scope. Contact us for a FREE in-home estimate. See store for details and terms & conditions. Creative Carpet and Tile was established in 1991, and remains family owned and family operated. We live and shop in the same community that we serve so we have to be accountable on every project we do. Strong community ties and repeat customers make us prove to be in business and thankful for all of our customers. *Authorized Armstrong Dealer* We are excited and eager at Flooring America to get to know you and help you with all of your floor covering needs. We offer in-home service and are very experienced in the commercial area. We look forward to meeting you at one of our 2 Knoxville, Tennessee locations! Locations: 10029 Parkside Drive Knoxville, Tennessee 37934 865-675-3630 5307 Washington Pike Knoxville, Tennessee 37918 865-522-3619 Thank you for your continued business throughout the years. Flooring America is more than just a flooring specialty store. We are experts trained in flooring sales and design and will help you find the perfect floor for the way you live. As part of America's leading flooring retail group, our 500-store nationwide buying power guarantees you low prices on thousands of carpet types and other flooring options backed by the most solid warranties in the floor covering industry. Welcome to Gillenwater Flooring Center! As a Shaw Design Center, we feature Shaw's complete line of flooring including carpet, hardwood, vinyl, laminate, ceramic, porcelain, and stone tile. We also offer complete lines in other flooring manufacturers: Armstrong, Mohawk, Mannington, Tarket, Somerset, Bruce, and others. Recently, Kraftmaid and Merillat cabinets for the kitchen, bathroom, and office have been added to our showroom. We have created a workable showroom where you will be able to choose the products you like in a relaxed and friendly atmosphere. With over 100 years of combined experience in our helpful staff, we are equipped to serve you. Come see us. We appreciate an opportunity to meet all your flooring and cabinet needs. Carpet dealers in Eagleton Village, TN help homeowners choose the correct carpet covering for their floors, and also assist with carpet maintenance. This includes determining factors like material, carpet pile, durability, color and size, as well as helping with any custom carpet design. After completing the initial installation (which includes removal of the old flooring, if applicable, and surface prep), they may also handle follow-up maintenance requests such as carpet cleaning, carpet repair and carpet stretching. Carpet dealers might work closely with Tennessee contractors, interior designers and others in the home building and home improvement industry. Here are some related professionals and vendors to complement the work of carpet dealers: Interior Designers & Decorators, Design-Build Firms, Specialty Contractors, General Contractors, Home Builders. Find a carpet dealer on Houzz. Narrow your search in the Professionals section of the website to carpet dealers in Eagleton Village, TN, and read reviews and ratings for pros in your area.